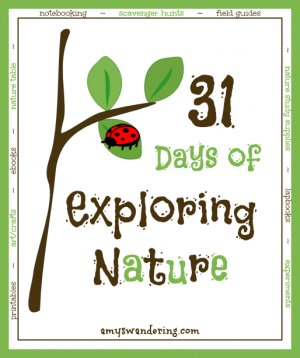 I am excited to announce that tomorrow is Day 1 of my 31 Days of Exploring Nature series. Think of it as your comprehensive guide to nature study. I hope it will bless your family with an abundance of resources for learning more about God’s amazing creation. Go take a peek at the list of topics covered. A new post will go live each day in July. Subscribe to receive a reminder each day in your email, and to gain access to subscriber freebies. 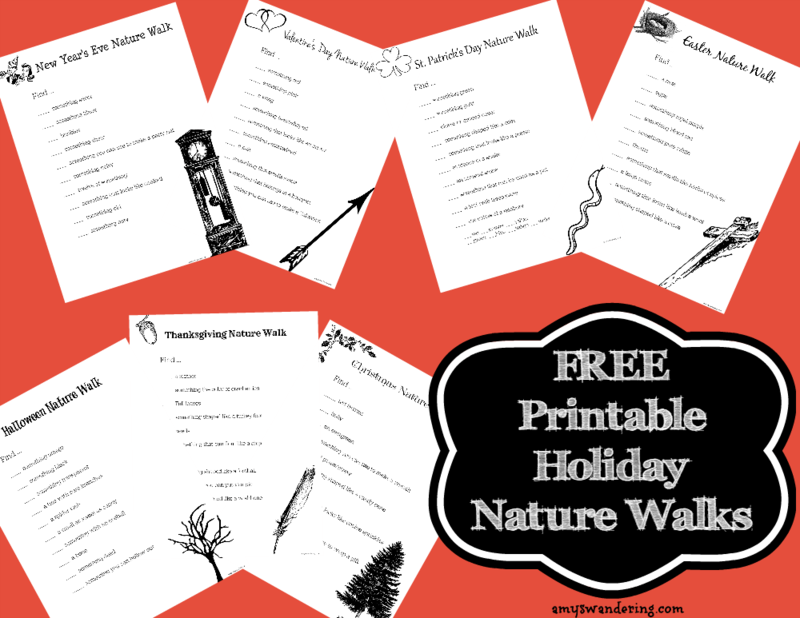 I created a FUN set of Holiday Nature Walks to go with this series! Download your set below. 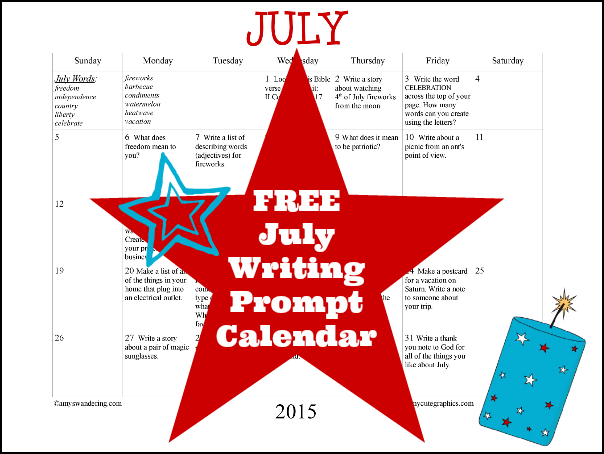 The July Writing Prompt Calendar is ready to go. If you already get my post updates in your email, just look for the button at the bottom of your next email to get your freebie. For best results, adjust your printer settings to borderless or whole page. If you are not a subscriber, simply click here and enter your email address. You will receive an update email each time a new post is added, and will automatically get every subscriber freebie I create from here on out. 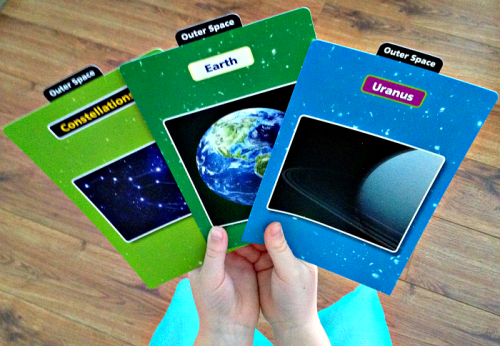 My youngest child adores fact cards. We have a basket full of colorful flash cards from the Target Dollar Spot. 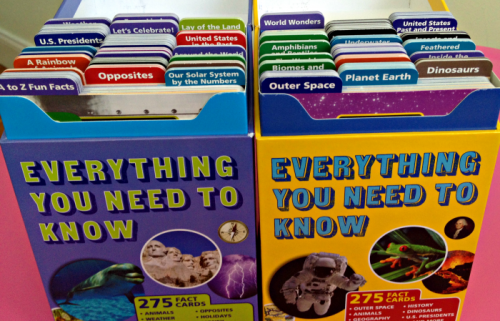 Several books filled with animal fact cards sit on a homeschool shelf. She loves looking and touching and learning. 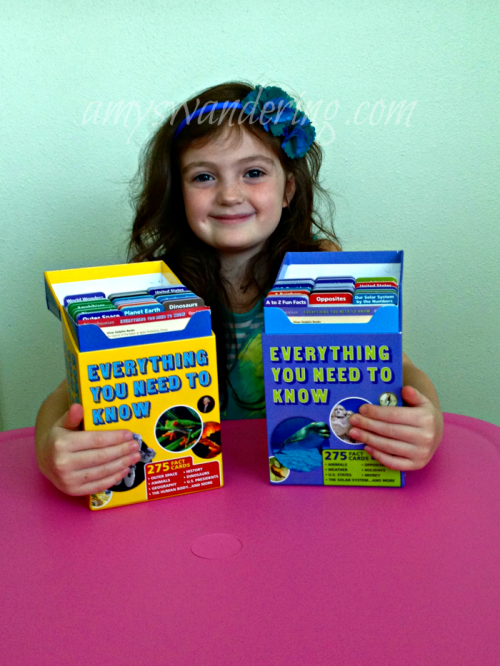 Sweetpea actually did a little dance when I opened up our box of Everything You Need to Know Fact Cards from Silver Dolphin Books. They were developed in collaboration with the Smithsonian Institute. There are two levels of these beautiful cards available: Grades K-1 and Grades 2-3. Be sure to enter the giveaway below!! I’ve learned to pay attention and take note when my daughter starts asking questions about certain cards. That is my clue to use those particular cards as a jumping off point for further exploration. I can then hunt up some videos, craft projects, and recipes to go along with the cards. Summer break is the perfect time to pull out a box of Everything You Need to Know Fact Cards. Choose a place to start and then hop on over to Pinterest to find some fun crafts and activities. Maybe even do a theme a week. Coming up with themes is often the hardest part of planning a fun summer. The Everything You Need to Know cards solve that problem. My favorite use for the Everything You Need to Know Fact Cards would be as an inexpensive Kindergarten or First Grade curriculum. Simply add in a math and a language arts program. 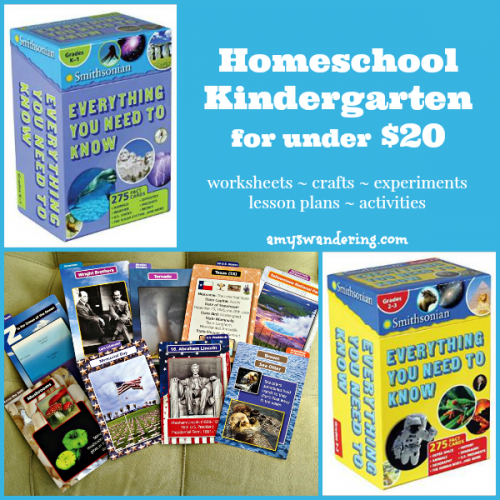 If you choose those from my list of free homeschool curriculum links, you can create a a complete Kindergarten or First Grade curriculum for under $20! There are a couple of ways to divide up your cards for the year. You can do topical studies by working your way through one subject at a time, or you can study cards from several different sections at a time. You could also assign subjects to different days – Monday is geography, Tuesday is science, etc. The durable cards are tabbed and labeled at the top. You can just stick the cards you’ve used in the back of the box each day without the headache of having to sort them back out at the end of the year, as long as you keep the topics together. 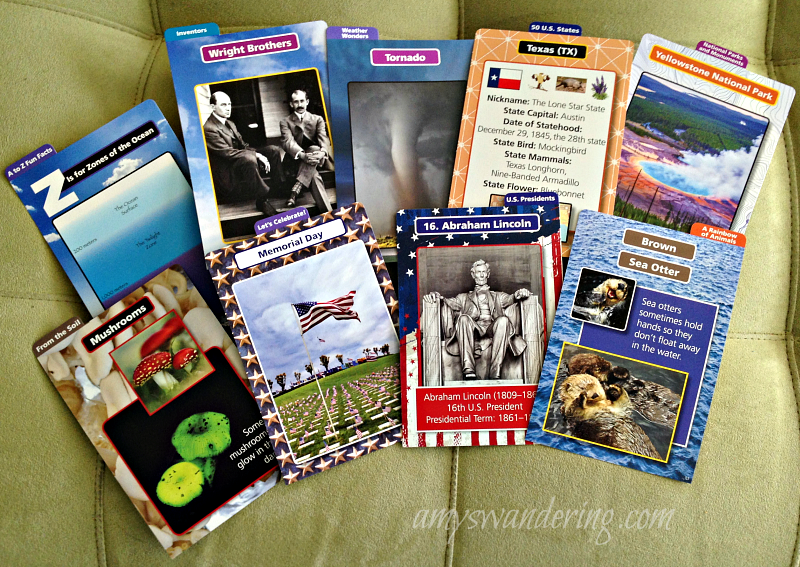 Once you have decided on the cards that you will use for the school year, you can turn once again to our good friend Pinterest to add in worksheets and activities. 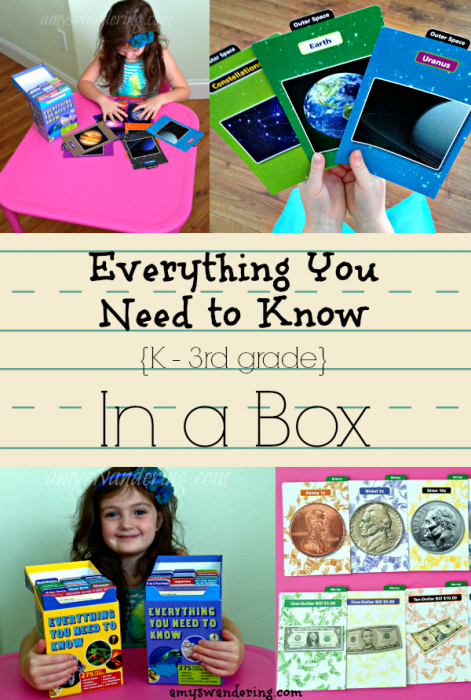 I chose a few categories from the K-1 Box and hunted up some fantastic Pinterest boards for each one to get you started. Those are only about a third of the categories between the two boxes, so you could realistically get several years out of them. Be sure to check out the Silver Dolphin blog for more activities! Follow them below for fun product updates and freebies. Silver Dolphin is giving away 10 of the Everything You Need to Know sets. You can choose either the K-1 or 2-3 set. Open to U.S. addresses only. We are heading into our 14th year of homeschooling in a few weeks. I could fill a room with all of the resources that have cycled through this house during that time. A few have captured a permanent place on the shelf, however. They are ones that either make our homeschool day easier or more enjoyable. Do you own any of these? 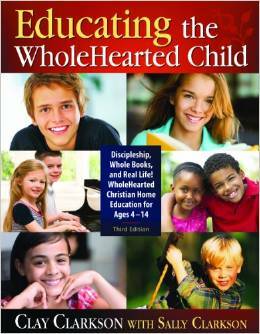 If I could only own one book on homeschooling, it would be Educating the Wholehearted Child. It speaks right to my heart and helps me lay out a vision for our family. 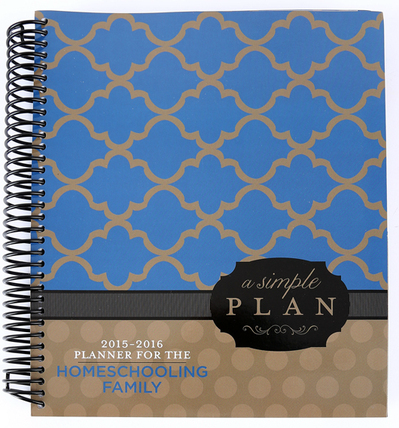 I’ve always used free homeschool planners, but last year this planner caught my eye so I ordered it. A Simple Plan makes it so easy to keep track of lessons for 5 kids! 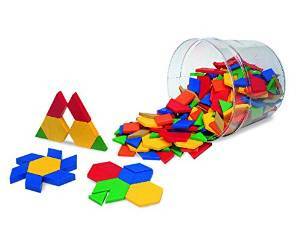 Pattern blocks and free pattern block templates can keep a preschooler busy for a very long time. I slide the sheets into page protectors and put them in a binder. 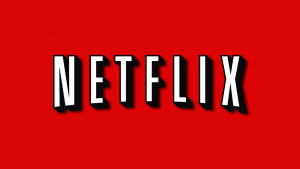 Netflix Streaming is a fairly steady part of our homeschool. The kids are usually allowed to watch a “school show” during lunch break. My oldest has shed many a tear over math in her youth. She is a very bright girl who had no trouble working the problems, but she always wanted to know WHY. I never cared about the why when I was in school – I just wanted a good grade so I did what I was told. Teaching Textbooks looked so appealing, but I didn’t want to spend the money. I finally broke down and ordered Pre-Algebra, and the light went on for her! I nearly fell over the day she told me she didn’t hate math anymore. We now use it for the whole family starting in fourth grade. I gave up my library loft and massive entertainment center when we downsized to move across the country a couple of years ago. 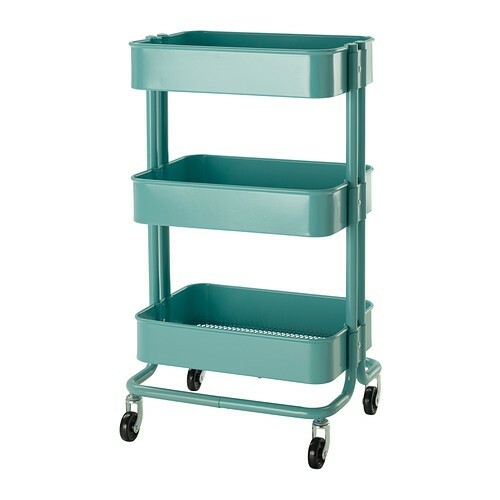 My lovely turquoise Ikea utility cart takes up very little floor space but holds quite a bit. The top shelf holds mail and coupons. We stand up all the picture library books on the middle shelf. The bottom shelf is for my planner, clipboard, and binders containing weekly work. Once I figure out a solution for the mail, I might use the top bin to house cute jars of school & craft supplies. I don’t know about you, but I always have a homeschool wish list of things I would love to have but aren’t necessary for our home. At the beginning of each school year, I choose one thing off of the list to purchase as a back-to-school surprise for my kids. 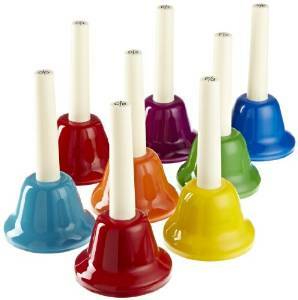 These Schylling Hand Bells were from that list and were a HUGE hit! 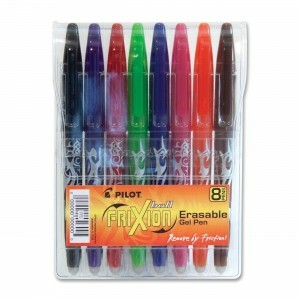 The Pilot FriXion pens get a double heart from me. The ink disappears from the friction of the little rubber tip. I coordinate the colors with my monthly creative planner (free!). It’s the little things that make me happy! They are also a good way to transition kids from writing in pencil to a pen without them stressing out over mistakes. 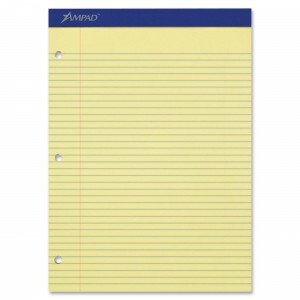 A yellow legal pad is one of the rare items that I have used since year one. I brainstorm ideas, list curriculum choices, and generally have a running brain-dump to-do list. My favorite is the hole punched pad. The boring everyday pages get torn out and thrown away, but I keep all the planning ones. It is fun to look back over the years and see how our life & homeschool has change. Since the title of this post is a FEW of my favorite things, I will stop there. 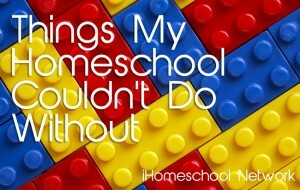 Be sure to check out the rest of the iHomeschool Network’s favorites. 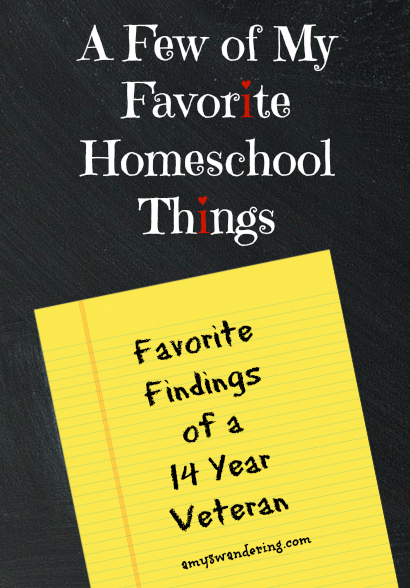 I would love to know a few of YOUR favorite homeschool things. Please leave a comment! The FREE Famous Artist Collections are Back! 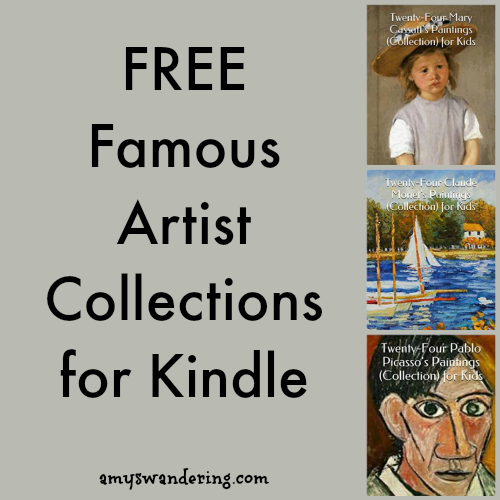 The Famous Artist Collections are FREE again for Kindle. The price could change at any time, so hurry! Read on most devices with the FREE Kindle Reading App. My affiliate links were used in this post. There is no cost to you to download the free ebooks. I appreciate any shopping you might do while visiting Amazon! I have not read most of these ebooks and am not endorsing the contents. Please use your own judgement when choosing reading materials for yourself and your family.